Recovery from Eating Disorder opens a world of possibilities. I’m not going to allow my Binge Eating Disorder to define me anymore. 23 year old Male in Recovery. This has been an amazing year with its sorrowfulness and greatness. Eating Disorders are destructive and they Kill. I was very taken by the lack of understanding surrounding this illness in our society. Whether your a Muslim or a Non-Muslim, many held the same belief “just eat and spare us all this misery.” So many people believe key is in eating and letting go of stubborn pride and desire to have a thin body. How wrong are they? Did you know the human body is very in tune with itself and usually it is right. For example, when our body tells us we are hungry, we should eat. When our body tells us we are tired, we should rest. However, when a person tries to give up anorexia, bulimia, binge eating or any other food related disorder, his body will tell him to use more. Going cold Turkey on Bulimia, Purging is possible but most people who have been using behaviors for years will suffer some kind of temporary withdrawals immediately after ceasing their addictive behaviors. Sometimes withdrawal symptoms can be so severe that relapse may occur or people may turn to other addictions and substance abuse. In many cases that person’s body or mind has become so used to the behavior that it has adapted to accommodate it. This is called physical dependence. Even though our bodies are usually right about telling us what we need, in the case of dependence it is wrong. Dependence causes a sufferer to feel confused, trapped, and sometimes even hopeless. Bottom Line there is hope! Many recovered people (or in recovery) can attest to that, a hope and freedom that anyone can have if he/she works at it: Freedom from Eating Disorder is possible! So As we mark End of 2014, there’s a cause of celebration. How freeing oneself from the shackles of Eating Disorder can make the possibilities in life seem endless. Breaking the chains of ED rules and behavior is one of the hardest, most challenging undertakings ever. As an eating disorder progresses, so do the isolation and secrecy that accompany it. 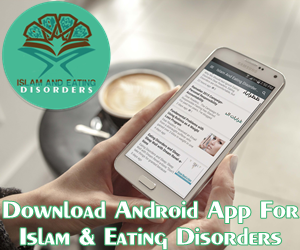 A sufferer from Mali is recovering from her Anorexia, restrictive Eating by using On-line programs, online support groups and Complimentary Therapies. She taught many of us a very valuable lesson, when there’s a will there’s a way. In this digital age, nothing is Impossible. I had no idea that my controlled eating had me become entrenched in a negative cyclical behavioral pattern. We celebrate a courageous father, who broke his silence on his daughter’s suffering and despite the wrath of society has embarked on a difficult journey to give his daughter a life she deserves to live. We Celebrate Supportive Mothers and their courage and their firm belief in defeating Eating Disorders till they are history. We celebrate a father from Afghanistan, who feeds his daughter after every hour, so she can defeat the demon of Eating Disorder and live a happy healthy life. Who’ve come to accept and acknowledge their illness and will be seeking treatment for their Eating Disorder. Thank you so much for visiting this blog and sharing your stories with our readers. Some stories were hard to tell. At times I struggled putting them together but these stories need to be told. We need to break the secrecy surrounding this illness and really make people understand the trials and tribulations of this disease. Inshallah next year, I will be sharing more real life stories on this blog, some heart breaking and some full of hope and joy. Like any other cultures, ED recovery in Muslim culture is impossible without the help of family, friends and support groups. The value and impact of support is overwhelming. By speaking to many sufferers, I realized that once parents, spouses, understood what the sufferer was going through, they made sure that a person gets the help they need. Eating Disorders thrive in secrecy, and because of close knit family structure, it becomes nearly impossible to engage in some of the ED behaviors. I said Goodbye to My Dear Friend Jeanette Herbzg. She supported me in my Journey to Recovery. Thank you so much for all your messages of support, and for liking her Video on You tube. A Sufi Singer Naseem Nahid, lost her husband. He was an inspiring figure, a great father who helped her with body image issues. You can read it here. Sufi Singers and Body Image. A Young Man in his mid twenties died of sudden Cardiac Arrest. He was suffering from Binge Eating Disorder, which was never diagnosed. Deep condolences to his family and friends. I was shocked to learn of Arielle Lee Bair’s loss. Arielle used to run a blog on Eating Disorders. She really was a source of strength for me when I was in Hospital. Her supportive Emails were perfectly timed and made defeating the Demon of ED seem very easy. Her husband Rick committed suicide on 18 May 2014. Acoording to Arielle: Tomorrow may bring pain, but it cannot steal my joy. Shaye Boddington a pioneer behind Bulimia Recovery is expecting a cute Angel. We wish her very best. Another brilliant strong soul gave birth to a Beautiful Baby Boy in UK. She had a perfect pregnancy, because she ate for her health, her baby and her body and said Goodbye to Dieting. Congratulations. Dear Daughter Your Father’s Back is Broken. This Post broke all the records. It was the most viewed post of my blog. I want to Thank Everyone for liking this post and leaving positive feedback. It meant so much to many of us. I want to thank The British Asian Blog for first liking this post and giving such a positive feedback. 2015 Inshallah will be a Year of New Hope, New Dreams and New Aspirations. It will be Year where Many people will embark on a Journey to Defeat the Demon of Eating Disorder. I will try my best to share what I can and Support whoever needs my support on their Journey to Recovery. Amazing post! I love having a fresh start, and what better a fresh start that an entirely new year? I hope that 2015 brings us one year closer to putting an end to eating disorders. Good luck to all who are on the road to recovery. I agree with you! A brand new year and a brand new start if you need it. What a great way to get motivated! Great job and Happy New Year to you and your family! Love the blog!